Georgian nationals who fled Abkhazia after the 1993 war are still being told by their government they will be able to return to their homes. However, Abkhazia has said no return is possible. When Guram Kvaratskhelia fled Abkhazia for Tbilisi, his government promised him that he’d be back home within a year. That was 15 years ago. And now Georgia’s government is again making promises it cannot keep because, instead of life getting better, jobs and housing are more difficult to come by. If it wasn’t for the photographs of their former lives, Guram and his family would think it was all a dream. “This is Saakashvili’s war. He takes us refugees for granted. He calls us the refugees of Shevarnadze and therefore thinks he doesn’t need to help us,” Kvaratskhelia says. 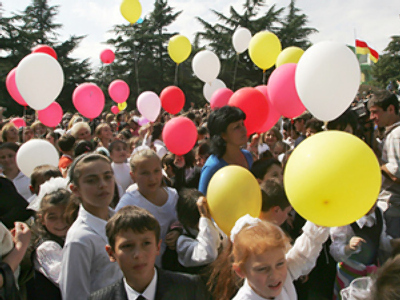 Since last year’s war with Russia, 15,000 more Abkhazians fled to Tbilisi as refugees. Kvaratskhelia can’t shake the feeling that they are all being used as pawns by a president desperate to stay in power. Now the one thing that has kept these refugees going is finally failing them – their hope. “It would have been better if I’d left the country. But the government kept promising and promising that things would get better. This is beyond our worst dreams. It’s really hard to explain the feeling when you finally realize you’re never going back home,” Kvaratskhelia said. A dilapidated hospital with leaking pipes and cracked walls is now home for Kvaratskhelia and three other families. Mzia Saiani’s pension supports her disabled husband and unemployed son. She hates herself for having voted for Saakashvili and believing his promises to help her. “We’ve been thrown into the ocean and nobody taught us how to swim. Our life is not a life. 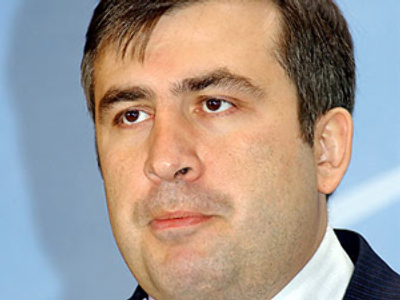 Saakashvili is looking for another war with Russia. It’s not enough that last year’s war was a disaster for Georgia. He’s looking for an outside threat to unite the people of Georgia. But if there is another war it will be the end of Georgia,” Saiani says. Saiani’s view is one that is getting more and more popular in Georgia. The chorus of anti-Saakashvili demonstrators is growing stronger and new organizations have sprung up to intensify the fight against him. “After the Rose Revolution and after Saakashvili came to power, all the resources went into trying to portray Russia as an aggressor, a barbarian country. Now the established opinion among the public is that this was Georgian aggression and that it is Georgia that began hostilities in South Ossetia,” said Tariel Gagnidze from Historical Heritage. Instead of using the state budget on Georgian refugees, Saakashvili diverted a large part of it to military spending and building himself a mansion, which is only a few minutes drive from the dilapidated hospital. Saakasvilli began building it shortly after he came to power in the Rose Revolution and finished it last month. When once he might have been a president without a palace, today more and more Georgians want the palace – without the president. Zviad Mirgatia was suspicious of Saakashvili from the start. He worked in the Georgian parliament for 12 years until two weeks ago when he quit out of frustration and disappointment. He says last year’s war wasn’t a mistake Saakashvili made – it was a crime. “Of course it’s not the end, there is going to be a follow-up, and not a very pleasant one,” Mirgatia says.